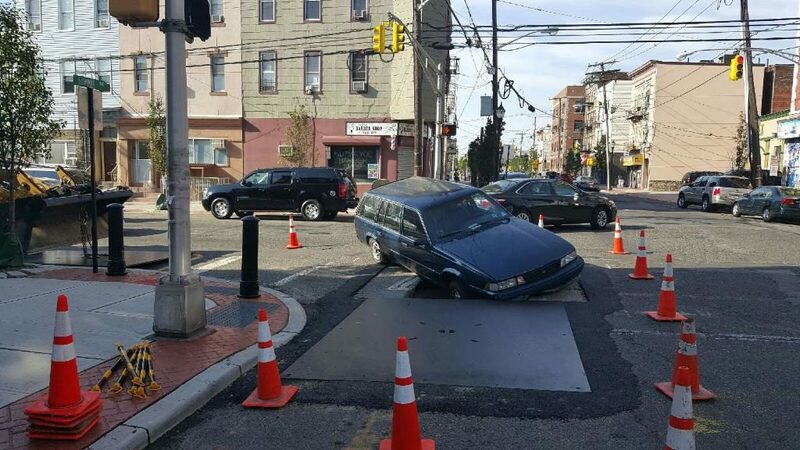 A man got an instant punishment for making the wrong turn in upcoming traffic. 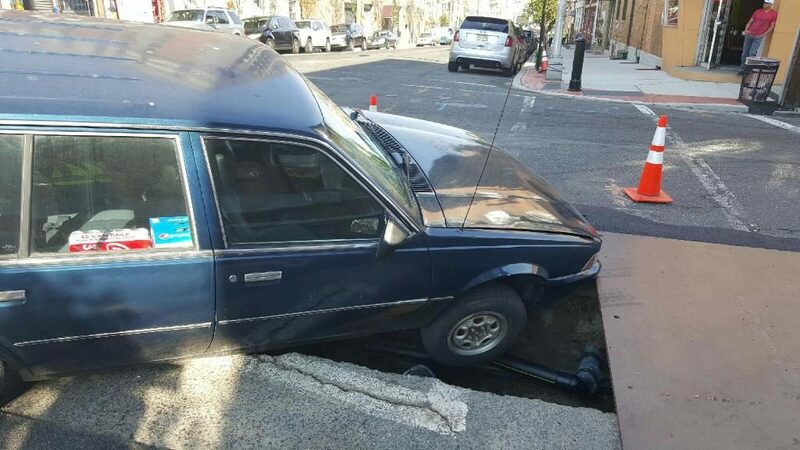 According to witnesses, the driver fell down in a manhole when he made a turn in a closed street in the area of Summit Avenue and 22nd st in Union City. No injuries have been reported at this time and the driver is Ok , witnesses said.